Isobar > The Squeeze >Archive>Is that Jet Mission Ready? Is that Jet Mission Ready? The United States Air Force is spread out over hundreds of military bases worldwide making analysis of inventories and operational readiness challenging. Roundarch has developed a logistics dashboard that seamlessly integrates one of the world’s largest data warehouses in to one place. 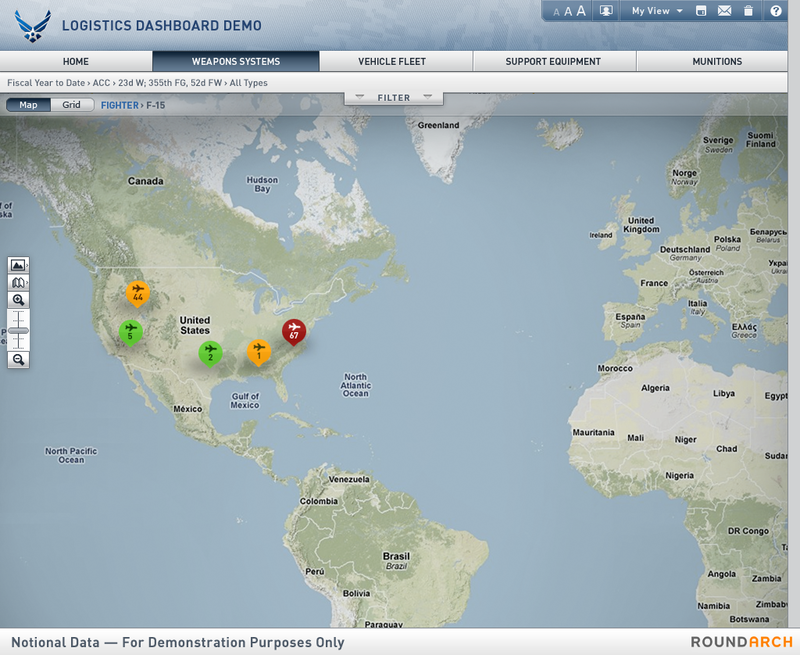 The Air Force Logistics dashboard allows Air Force personnel to assess for operational readiness, track progress across the entire Air Fleet, and view aircraft, vehicle, equipment, and munitions information operated by the US Air Force worldwide through one convenient and comprehensive user platform. 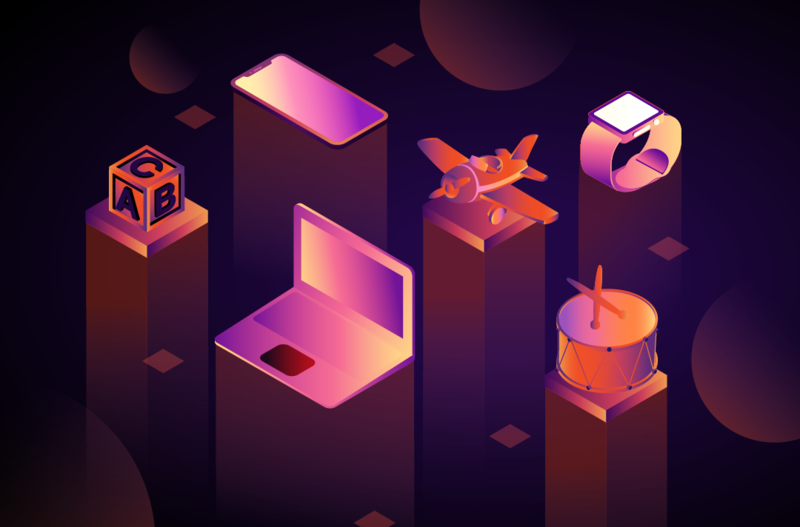 Historically, Air Force personnel had to access multiple systems, across different user interfaces with limited functionality, to capture a complete picture with which to make a decision and inform leadership. 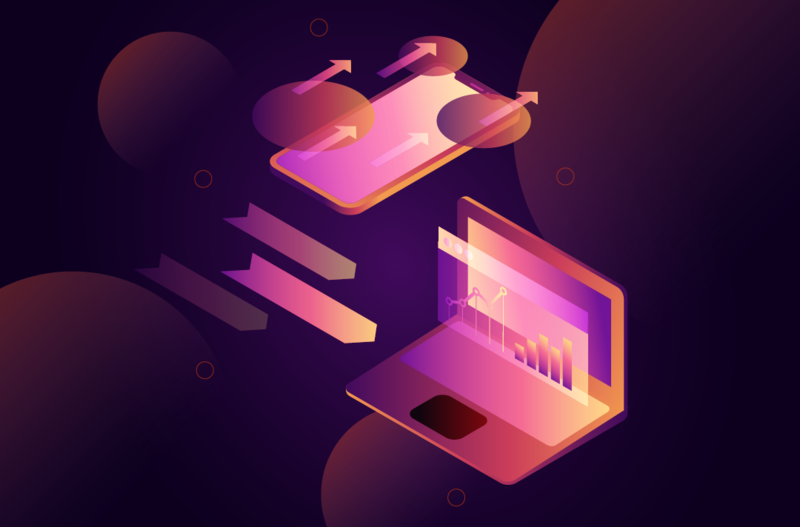 This process was often timely and largely ineffective as statuses were likely to change over the data collection period. 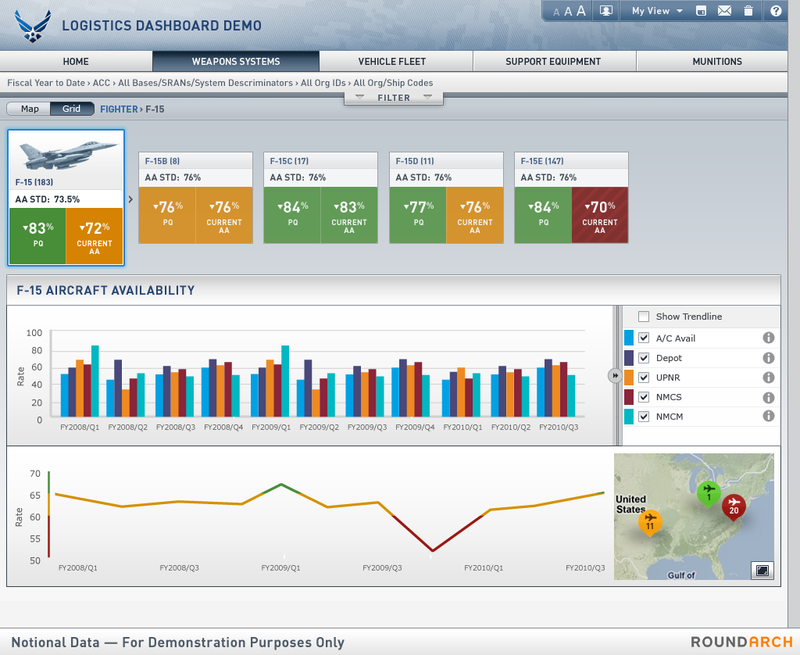 The logistics dashboard designed and developed by Roundarch provides the Air Force with a reusable RIA framework based on SOA and Web 2.0 design principles that brings together the near real-time data in an enhanced common user interface with substantially increased performance and functionality. Air Force personnel can access information on aircraft including; the aircraft’s current status, capabilities, maintenance information, and availability. If the aircraft is not mission capable, the dashboard provides reports on current maintenance, including what parts are on order, their arrival date and current location, and provides valuable insight into when the aircraft will be mission ready. This information is critical for operational planning and evaluating fleet and inventory status. 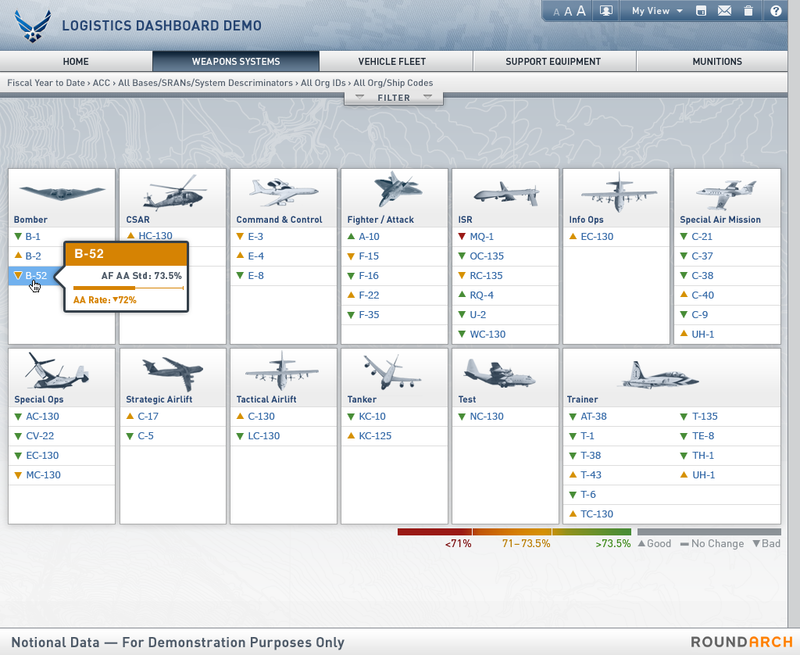 By having all the information channeled to one easy to use dashboard, Air Force personnel are able to quickly and effectively deliver mission logistic analysis reports across the entire Air Fleet up through the chain of command for execution.